8 3/4" to 9 1/8"
10 1/8" to 10 1/2"
10 1/8" to 10 3/8"
10 1/4" to 10 5/8"
10 5/8" to 10 11/16"
10 1/2" to 10 3/4"
These bone color plate covers are made out of impact-resistant polyglass that is designed for use in both the microwave and on heated carts. 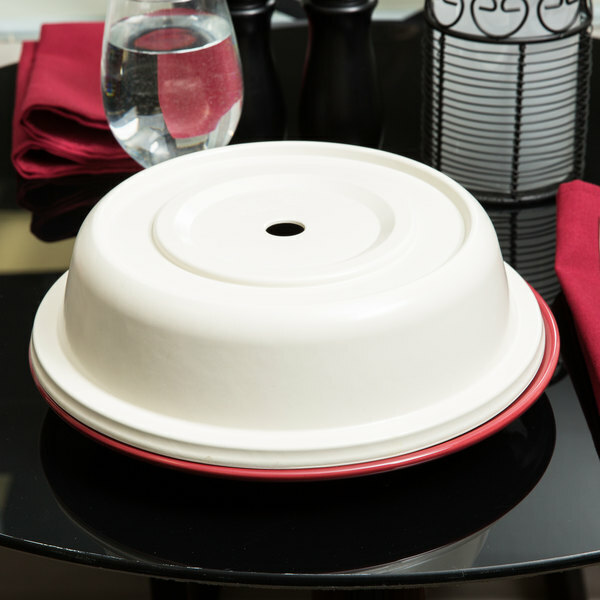 Each polyglass plate cover is heat resistant up to 300 degrees yet stays cool to the touch making the covers easy to handle for both customers and staff. 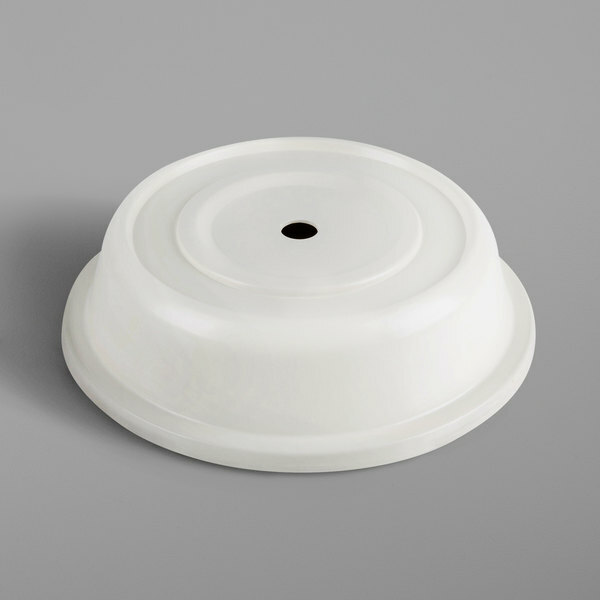 The plate covers offer excellent insulation for any plate that measures 12" to 12 1/4". 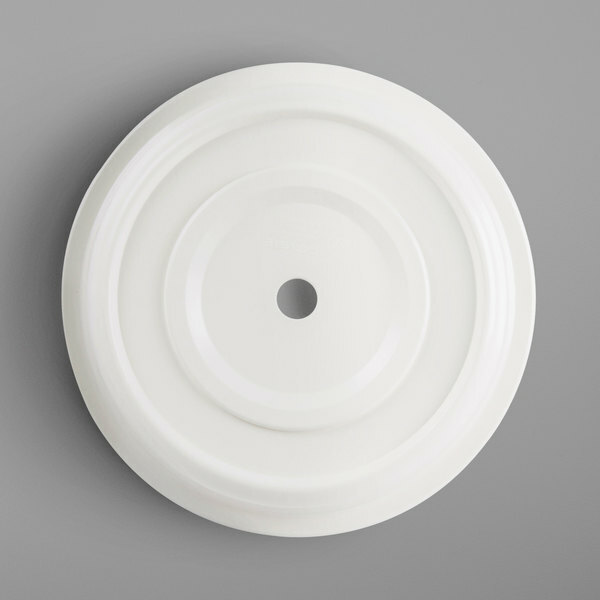 These plate covers keep plates hot and they are perfect for nursing homes and hospitals! 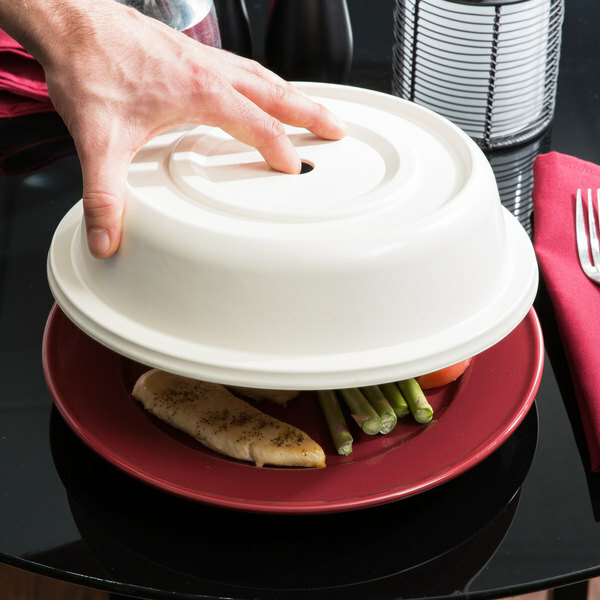 Easy to clean and dishwasher safe! I have never been more impressed with a product!